I recently had the chance to play and review the newest entry into the world of Space Hulk, from Cyanide Studios. It was… Disappointing. There are already post-release bug squashing patches coming out, but the main game was just not quite there. Shame, really. I think in another couple of months, they’ll sort most of the kinks out, but it seems to be another case of a dev having to hit a deadline, and not having enough time to do that final polish. Still, I didn’t pay anything for it, so nothing lost for me other than a few hours! 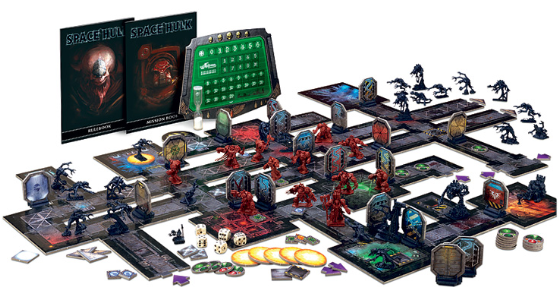 If you’re an absolutely die-hard Space Hulk nut, then it’s worth the buy, but I’d wait a few months and see what state it’s in before taking the plunge. You can read my review of the game on Jump Dash Roll. Thanks to the magic of friends, I’ve had the opportunity to write for Jump Dash Roll, an independent video game reviewer. This was the first piece I wrote for them, a review of the old (new) Tomb Raider game: Tomb Raider. You can read it on Jump Dash Roll’s website here.